Welcome to the section of my website dedicated to my heroes! As someone who wants to make a difference, I think one of the most effective ways to do so is to get to know others who have and are making a difference. 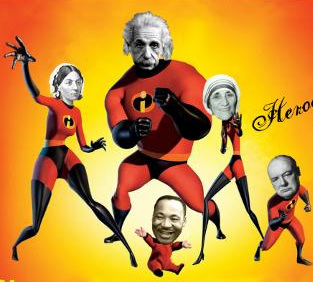 Here are a few of the people from whom I try to glean lessons. I apply what suits my style and vision, and the rest I discard. I invite you to do the same. 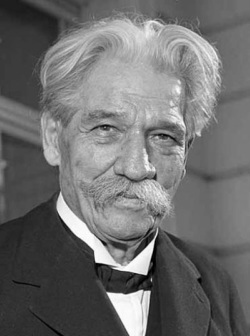 Albert Schweitzer is currently my favorite hero. As a child, he was always asking questions that others could not easily answer. At age 18, he went to the University of Strasbourg to study philosophy for six years. The university loved him so much, that they offered him a teaching position (uncommon for someone so recently graduated). He accepted, but after awhile, Schweitzer realized that he wanted to do more than just think and talk about deep questions—he wanted to help others actually live better lives. He went back to school to study theology so he could become a pastor. He was a preacher at St. Nicholas Church in Strasbourg until 1905 when he decided that just talking about helping others wasn't enough--he wanted to make a more meaningful difference. What did he do? He went back to school again and studied ANOTHER six years (1905-1911) to be a Physician! His vision was to dedicate his life to helping the poor and sick in Africa. Schweitzer then set himself to raising money to build a hospital. To that end, he published essays, gave speeches, put on frequent organ concerts, and solicited donations from anyone that he knew. In 1913, the first phase of his dream was realized when the Albert Schweitzer hospital in Gabon, Africa opened for service. He spent the rest of his life helping people recover from dysentery, sores, boils, heart disease, malaria, and many other ailments. He helped so many thousands of patients that he won the Nobel Peace prize in 1952. What did he do with the prize money? Schweitzer donated all of it to expand the services of his hospital. Schweitzer, for me, is the embodiment of living for a cause higher than yourself. "To understand it, we need to get a better feel for the man. Let me tell you a story. On one occasion, an army scout came to Saladin with a sobbing woman from the enemy camp. She had requested, hysterically, that the scout take her to Saladin. She threw herself before Saladin, and said, ‘Yesterday some Muslim thieves entered my tent and stole my little girl. I cried all through the night, believing I would never see her again. But our commanders told me that you, the king of the Muslims, are merciful.’ She begged for his help. “Saladin was moved to tears. He immediately sent one of his men to the slave market to look for the girl. They located her within the hour and returned her to her mother, whom they then escorted back to the enemy camp. “[When the siege of Jerusalem was successful,] Saladin put his men under strict order not to harm a single Christian person or plunder any of their possessions. He reinforced the guards at Christian places of worship and announced that the defeated peoples would be welcome to come to Jerusalem on pilgrimage whenever they liked. Though I personally renounce war and proclaim peace, and am disgusted with the realities war brings, I think it unfair to dismiss a man because of the times and circumstances in which he is found. 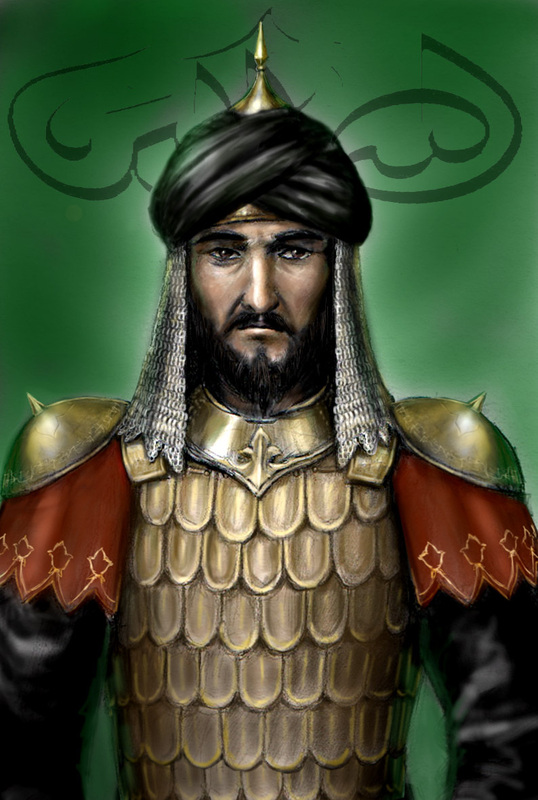 Saladin, to me, exemplifies the principle of treating people as people--which means that they are to be regarded as as valuable, as worthwhile, as important, and as mercifully as you treat yourself. Watch Steve Jobs: One Last Thing on PBS. See more from STEVE JOBS - ONE LAST THING. I look up to Steve for several reasons. He had vision and held relentlessly to it (he routinely disregarded the opinions of critics and 'experts' and went with what he felt was best. He worked hard, endured incredible difficulty, and expected the best out of people. No one can argue that he changed our world and thought outside the box.